Please excuse the title, I am working out the title of my quilt. 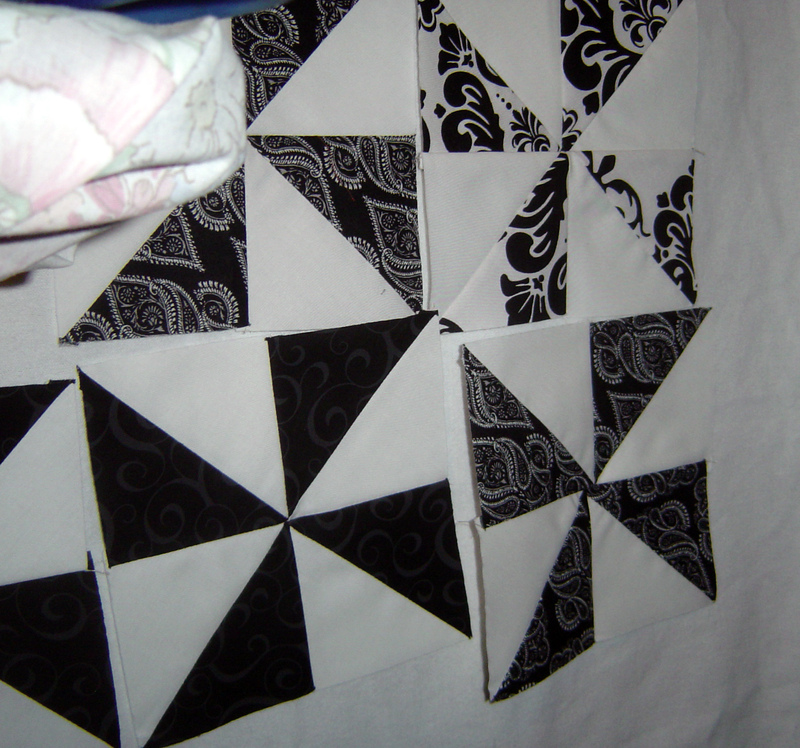 I am in a pinwheel swap with the quiltcast supergorup ladies on swap-bot. Go ahead and go sign up for swap bot, you can’t sign up for this pinwheel swap now, but may swap more blocks in the future. We are making the pinwheels from the Missouri Star Company using charm squares. Very quick and easy method of pinwheels. And yes, I am in the process of making them, but am not finished. I couldn’t make them ‘just pinwheels’. AND I couldn’t NOT design something for these to go into BEFORE swapping them all out. I just couldn’t. 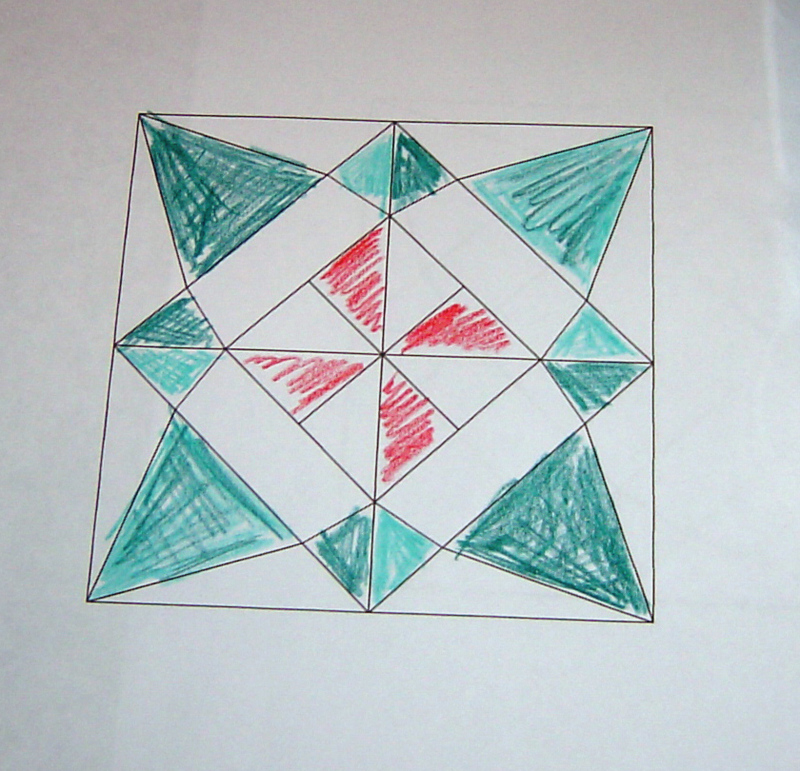 So I was looking at quilter’s cache and I saw something that said harlequin, an original pattern by Marcia at Quilter’s Cache, which would be an amazing setting for these pinwheels! And then I was playing around with electric quilt, and I stumbled across a quilt frame called harlequin frame in electric quilt. 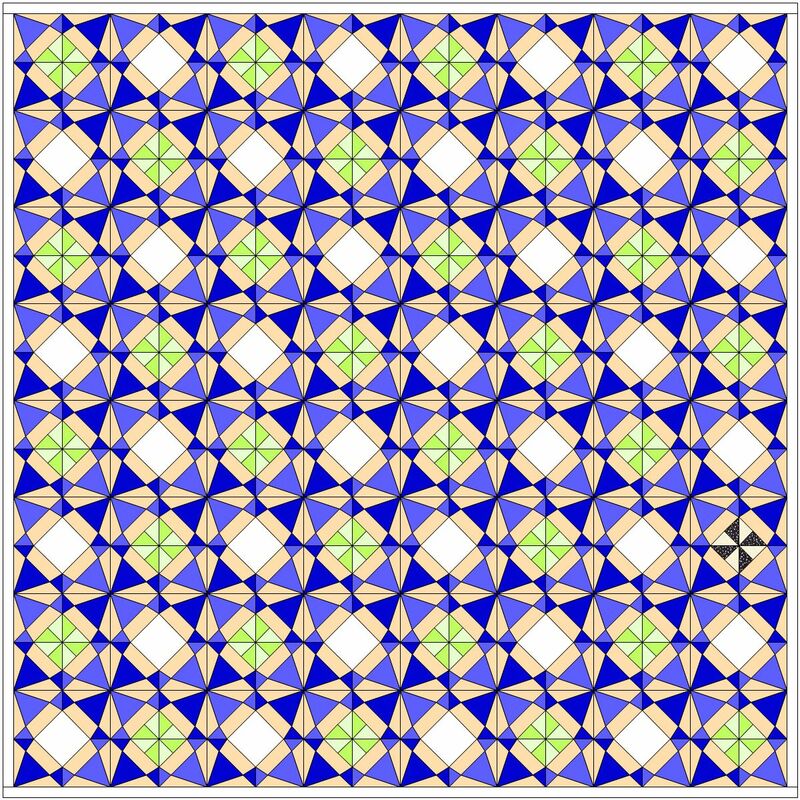 And this would be an amazing quilt! Here is a colored view of one block (not sold on aqua for the color that ties everything together though. Here’s how it looks in electric quilt 7. Not necessarily to scale or anything, but just wanted to see what the pattern looked like with the frame. I really like it and I could see myself paper piecing it. But I may make the outside light pieces white/white too, but if I did that, I may lose the alternate block feeling. We’ll see.